Jeny’s Java Joint is now Hiring!!! Jeny’s Java Joint is a local Organic, Fair-trade, mom & pop coffee house, that serves the very best fresh brewed coffee and espresso drinks in the area. 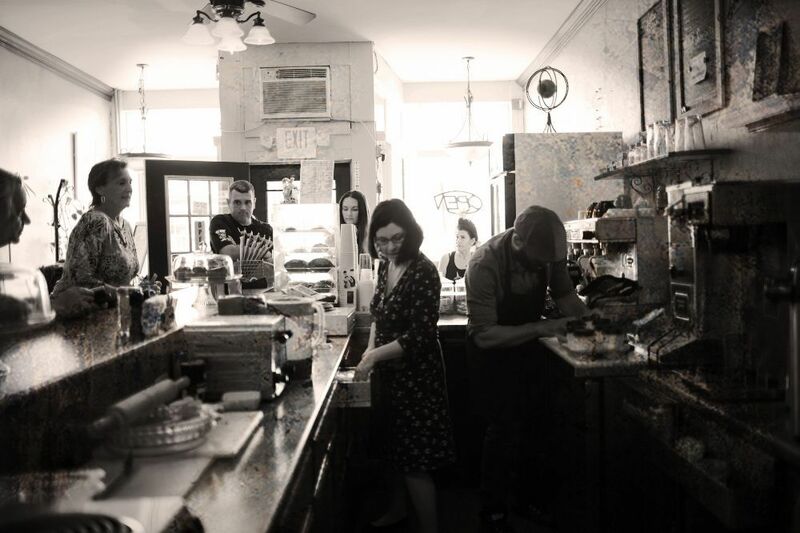 We strive to serve as a friendly neighborhood meeting place where everyone feels comfortable coming to enjoy excellent coffee, great food, amazing conversation, and a relaxing atmosphere. We are proud to be the only Coffee House in all of Burlington County that serves only the best 100% Organic Fair Trade Coffee & Tea. Our dedication to exceptional ingredients drives us to produce only the best for our customers. All of the Dairy we use in our store is always %100 organic; And all of our Homemade Egg Sandwiches are also made with organic eggs .We care very deeply about the planet and doing the best we can to make it a better place. We are currently hiring immediately for a part-time Baristas! We are looking for friendly, outgoing people with a great work ethic, those who care about the planet, and who are willing to take on responsibility. This position comes with a high level of trust and independence; our baristas are outgoing, have excellent customer service skills, are meticulous in keeping the work area clean and well-stocked, are willing to take direction but also have the confidence to problem-solve and make each customer feel welcomed. We are looking for a fast learner, one who is very good with people and one who is knowledgeable in the kitchen. There is a lot of food prep involved in the job. You must be confident opening and/or closing the shop. We are also very serious about our coffee so it is preferred that you have knowledge/experience with coffee, however we are willing to train. TO APPLY: Please submit a resume to jenysjavajoint@gmail.com detailing any barista and/or restaurant/customer service experience, your current availability, and a brief description of why you would be a great addition to our team.